Wherever you see her, those gorgeous gems seem to dominate her pretty face. 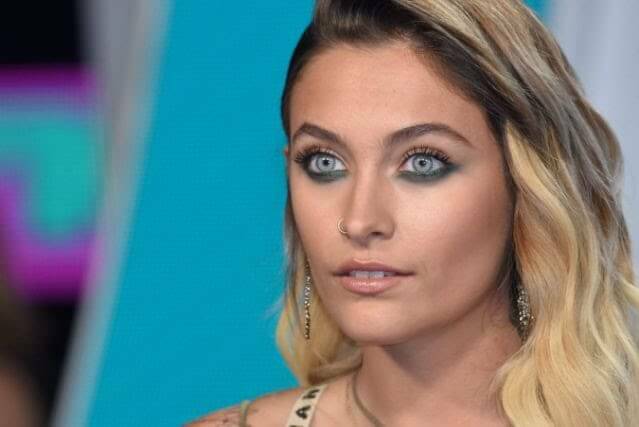 If you’ve At Sunday night’s VMAs Paris Jackson's eyes were at their most stunning. Hard to miss and totally hard to miss—captivating. Undoubtedly one of her best features, The eyes of Michael Jackson's only daughter are actually an Icy blue color for a reason. Yes there is an unusual reason for that startling shade of blue. And it's not contacts or make up—And no, not eye tattoos either! Jo Baker, Jackson's makeup artist revealed the secret in an interview with TeenVogue. He revealed that Paris actually has a rare genetic condition that gives her eyes that particular incredible hue. Although Baker didn’t reveal the name of the condition, it appears to be something known as Waardenburg Syndrome. It causes one to have unusually pale blue eyes. But her makeup artist did confess that he loves experimenting with her eyes. Just yesterday, 19 year old Paris paid a touching tribute to her late father Michael Jackson on what would've been his 58th birthday had he lived. In an emotive caption, she wrote: "birthday wishes to the love of my life, the one person who showed me what passion truly was, the one that gave me solid morals to live by and how to dream. i will never feel love again the way i did with you. (sic)"
Michael and his kids were quite close, and inspite of he mammoth fame and gruelling schedule, the King of pop, still made quality time for each of them.